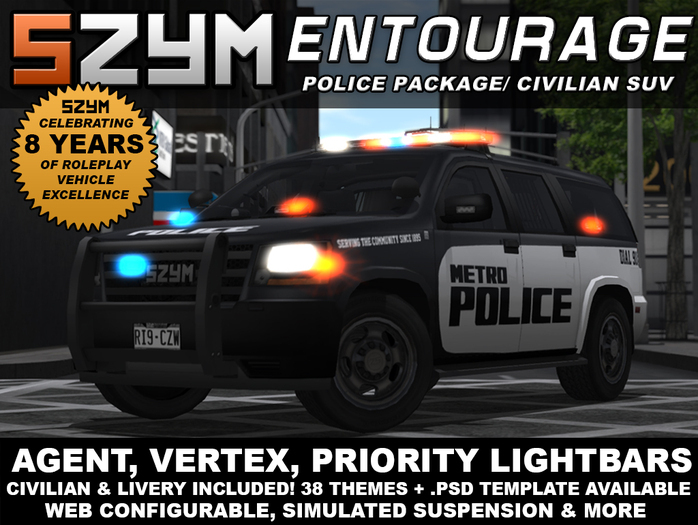 SZYM Motors has served countless roleplay sims since the very beginning. One of roleplay's most respected brands, SZYM is a byword for excellence. Featuring the very latest in exciting NTBI innovations, you'll never go wrong with a SZYM. "There are 8 years of innovation under the hood of every SZYM Intruder & Entourage, serving municipalities across the grid. 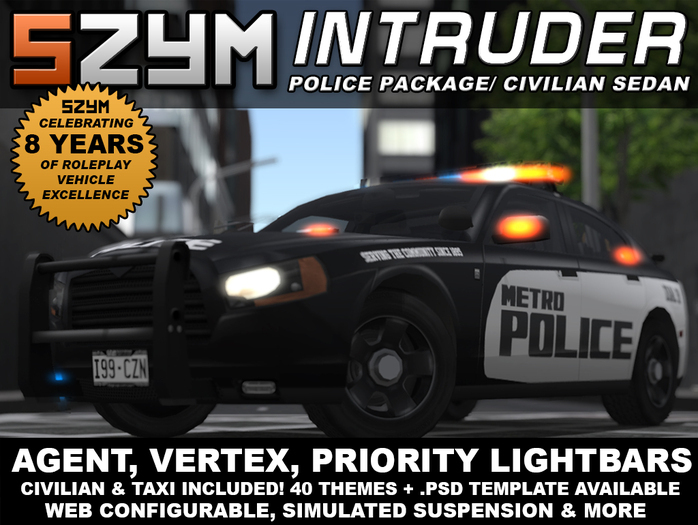 SZYM Motors prides itself for providing the grid with dependable, state of the art roleplay vehicles. Built and scripted by a team of seasoned roleplay content creators, we are confident you will be getting the highest level of quality we can offer. We are committed to our goal of offering the best value both in product and price gridwide."